It’s clear this little one’s olfactory senses haven’t kicked in yet. I knew an adult dog who adored bananas. Her people swore she could detect the unpeeling of a banana from rooms away. I must have this baby. Being a puppy is so very, very tiring. 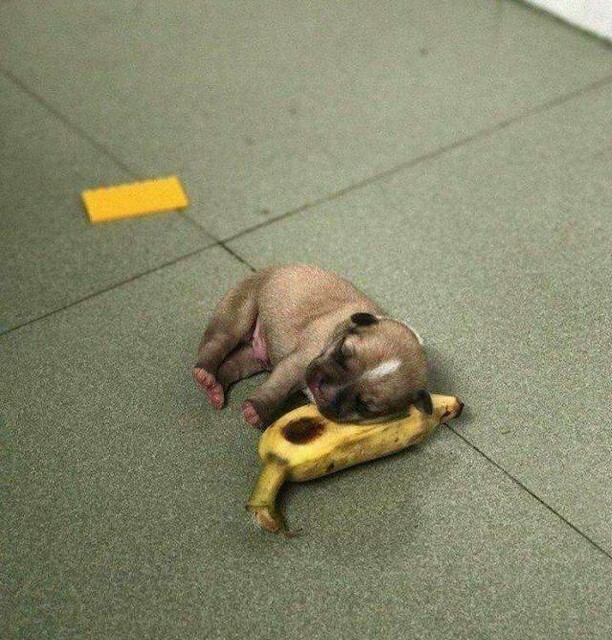 Looky who sleeped on a banana peel!